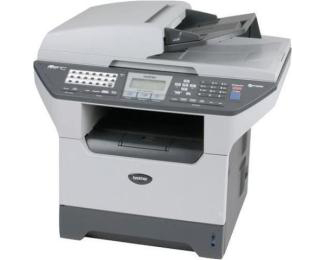 Duplex multifunctional devices such as the Brother MFC-8660DN are perfect for the small to medium sized business looking for a unique type of output and a lot of options as far as printer functionality. This device in particular also happens to include Ethernet capabilities which allow an entire office to effectively share the high quality, versatile features of the device. With a print resolution of true 1200 x 1200 dots per inch, users will notice a real difference between the quality of the Brother MFC-8660DN and that of laser printers and MFCs that rely on the lower standard of 600 x 600 dots per inch. With four times as many pixels, imagery such as charts and graphs will come out looking clear, while black and white text will have that extra crisp, professional look to it. 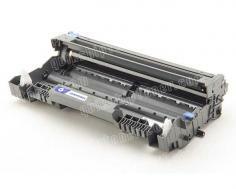 Print speed tops out at 30 pages per minute which should be plenty for almost any small workgroup and any print demand, including massive copy projects that can be helped along by the built in automatic document feeder. The document feeder on the Brother MFC-8660DN is capable of holding up to 50 sheets at once, and can be loaded while work is in progress, which ensures that heavy copy workloads, as well as fax and scan projects, will finish as quickly as possible. Copy features include stand alone copying with no PC required (though this is a networking unit), and reduction and enlargement in ratios of 25% - 400%. Zooming allows for both 2 in 1 and 4 in 1 functions which allow users to shrink input from multiple sources onto single pages in the interest of saving ink and paper. 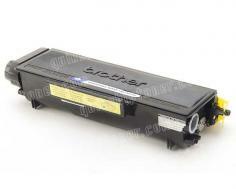 There are very few negative points to the Brother MFC-8660DN worth mentioning, as it is a very well rounded machine. The 32 MBs of included memory does seem a little small for a network device of this magnitude, though Brother does compensate by allowing users to upgrade to a maximum of 544 MBs total. Without a reversing feature on the ADF, double sided input will require manual flipping for two sided output, and users who wish to utilize the external TAD interface to connect a phone may be disappointed that the Brother MFC-8660DN does not support call waiting. Then again, they probably will not. Other than that, it is only the fact that this unit has been discontinued to make room for newer models that is a drawback. 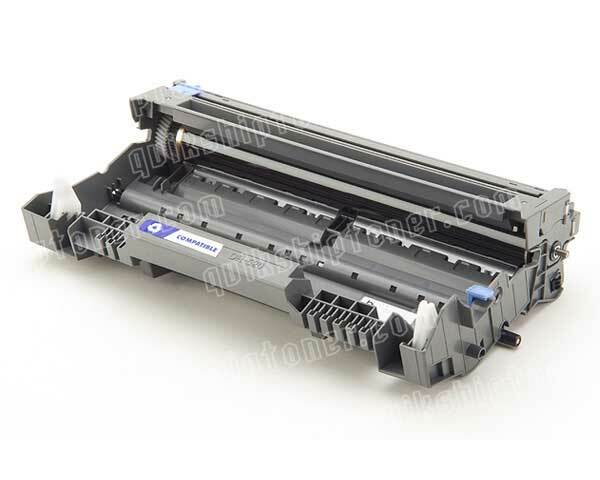 Review it: "Brother MFC-8660DN "
While a standard toner cartridge is available for the Brother MFC-8660DN that holds a page yield of 3,500 sheets, buyers will find that it is a much better value to invest in the 7,000 page high yield cartridge that provides twice as much coverage for only a slight increase in cost. Occasionally, high yield toner can even be cheaper due to the price of third party manufacturers vs OEM costs. The drum that is compatible with the unit is capable of a 25,000 page yield at 5% page coverage.